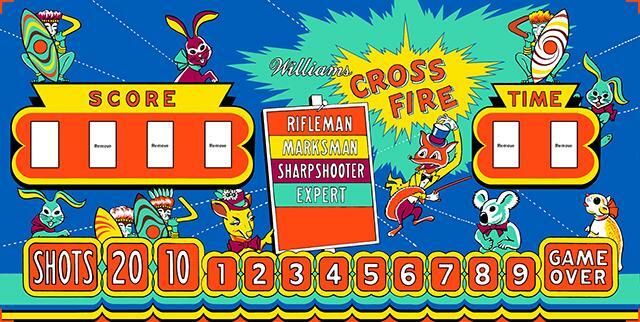 Here’s a good one, a 1950s Williams gun game called Crossfire. 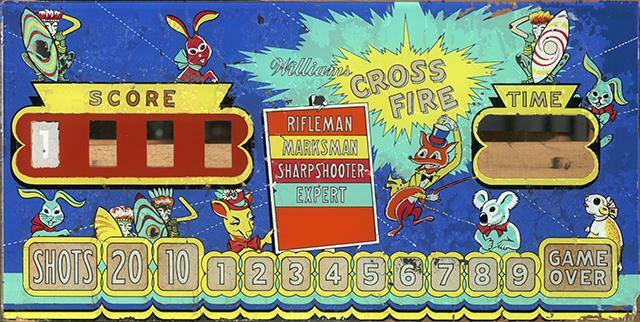 Note this game had two different glasses that we restored. Check out the before and after pictures.